The VTE-4100 is the #1 choice world-wide for official compliance and engineering test solutions for Flash memory cards. The system also supports all common NAND devices on the market. The VTE-4100 offers more flexibility than any other tester on the market, supporting the current Flash cards on the market. 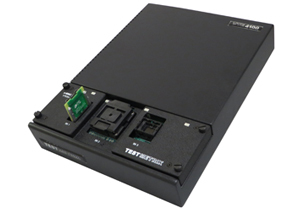 The VTE-4100 can be configured internally under software control with customized test processors, supporting any type of Flash memory storage device, and offering true real-time test capabilities. 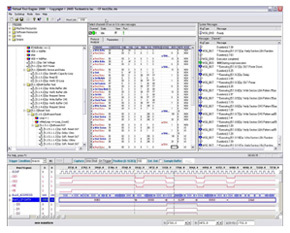 A Protocol Analyzer configuration of the VTE-4100 is also offered, supporting current flash memory storage and host devices.